New champs galore, MITB briefcase gets involved in the main event... sort of. SummerSlam had a tall order to outdo NXT TakeOver: Brooklyn IV, and while it produced several notable and memorable moments, the WWE PPV left a lot to be desired. Things started out well, and we got a couple nice surprises along the way. We got to see a couple smart title changes, and a smart non-change. There were a couple clever booking decisions, but also some that left you seriously wondering that the agents and producers were smoking. And then there was the main event, where Roman Reigns and Brock Lesnar were supposed to tangle in an epic match as the next step in their historic rivalry… only that’s not quite what we got. What we did get was a horrific bait-and-switch moment and a hugely disappointing conclusion to the feud that dragged down the entire show in the span of 10 minutes. 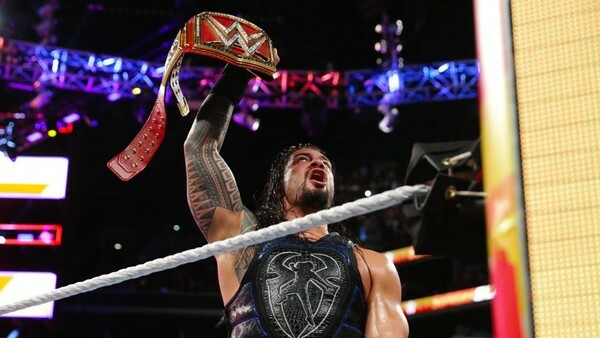 Overall, SummerSlam wasn’t bad, and the four-hour show didn’t feel as insufferable as other lengthy PPVs have felt. But it was nowhere near on the level of TakeOver, and it definitely ended on a low note that probably is coloring this review pretty strongly.